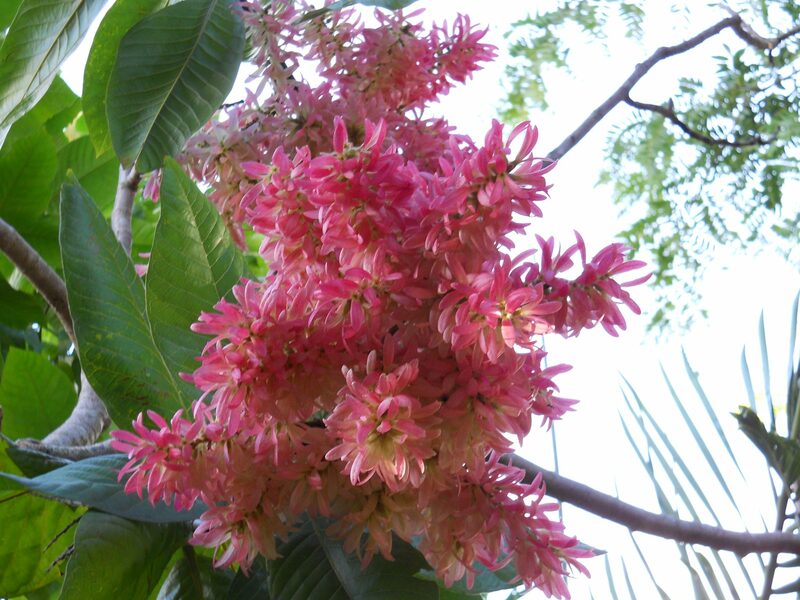 Long John or Ant Tree (Triplaris cumingiana) - Richard Lyons Nursery, Inc. 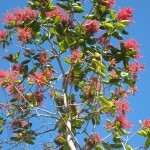 The Long John Tree is native to Central America and tropical South America. It is sometimes called the Ant Tree, because in its native habitat, its hollow branches are inhabited by stinging ants which protect the tree from herbivores. 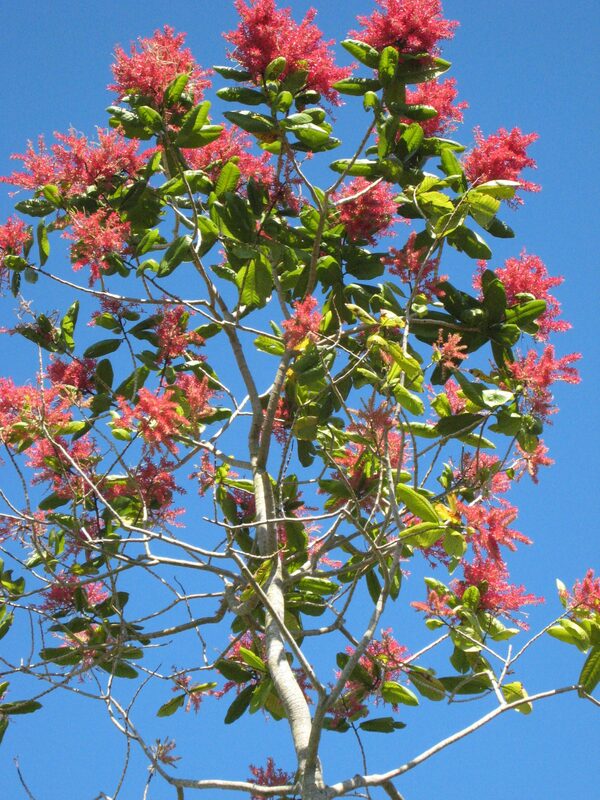 This tree can attain a height of 50-70′ with an oblong canopy that remains narrow. The bark peels off in patches, giving it a smooth blotchy trunk. This tree is dioecious, meaning there are male and female plants. 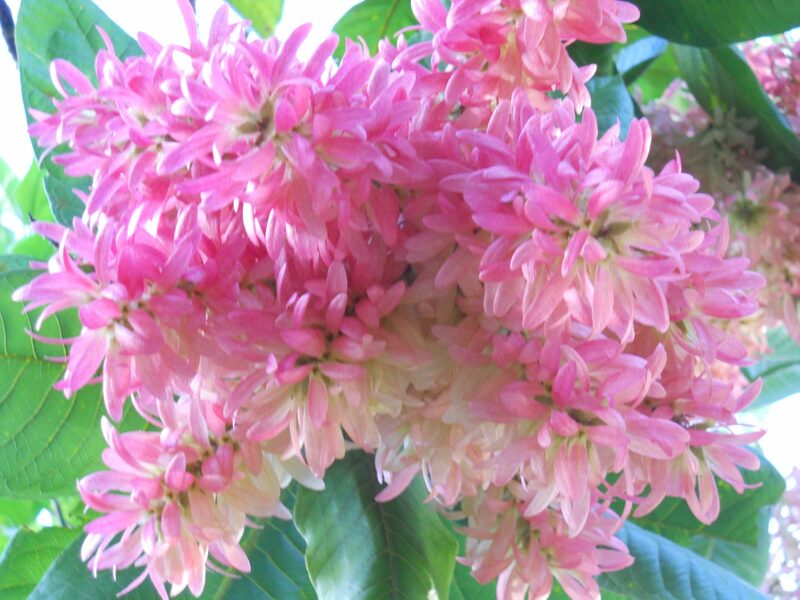 The blossoms of the female tree are more deeply colored than the male tree, and produce nutlike seeds attatched to three brilliant red 2″ long propeller like wings, that are wind dispersed, fluttering down like tiny helicopters. 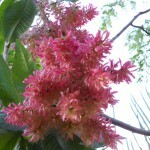 They flower in the dry season from November to early spring. 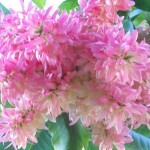 Richard Lyons Nursery sells these trees as seedlings in 3gal. containers or as 12-15′ trees in 15gal. containers.